The first fully electric MPV to hit the roads of the world, the Nissan e-NV200 Combi follows in the trailblazing footsteps of the Nissan LEAF to bring green, eco-friendly motoring to more drivers than ever before. Taking design cues from Nissan's highly successful small electric car, the LEAF, the e-NV200 Combi is perhaps more elegant in its design than you might expect from a five or seven-person MPV. As well as the button nose, complete with charging port cover, the e-NV200 Combi has twin sliding doors and the sort of soft, flowing lines that belie its considerable size. The lights and windscreen wipers are both automatic, whilst the e-NV200 Combi arrives on 15-inch alloy wheels. Nissan is a manufacturer with a reputation for quality, and that can be felt throughout the interior of the e-NV200 Combi. Switches are well-damped and the materials are robust but pleasing to the touch. The shape of the instrument panels and large digital displays also lend the e-NV200 Combi's interior a futuristic feel. Climate control comes as standard, as do heated seats, a heated steering wheel, satellite navigation and DAB digital radio. The infotainment system uses Nissan's impressive and intuitive CarWings system, which has also been used in the LEAF. Unsurprisingly for a new electric vehicle from Nissan, the e-NV200 Combi uses the same electric powertrain that can be found in the car that started the Japanese manufacturer's eco-friendly journey, the LEAF. What this means for the e-NV200 Combi is a 24kW battery and an electric motor that comes backed by 107bhp and 253Nm of torque. The e-NV200 Combi is obviously bigger and heavier than the LEAF, but you will still be able to travel up to 106 miles between charges. Passenger safety is of paramount performance when buying a five or seven-seat MPV such as the Nissan e-NV200 Combi. As such, the e-NV200 Combi comes complete with a full set of airbags for the driver and passengers, including side-curtain airbags, to ensure maximum protection in the event of a collision. 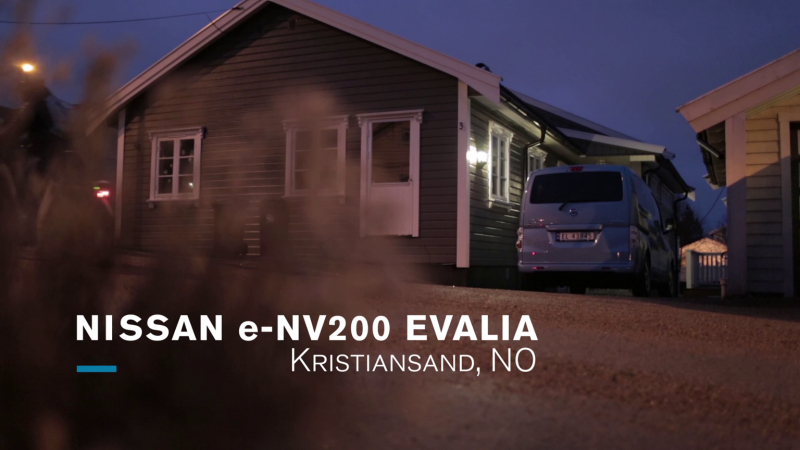 The e-NV200 Combi is also equipped with traction control and a tyre pressure monitoring system as standard. To find out more about the Nissan e-NV200 Combi, or to book a test drive, visit the RRG Group Nissan team in Bury today.